There’s no better gift than family time. 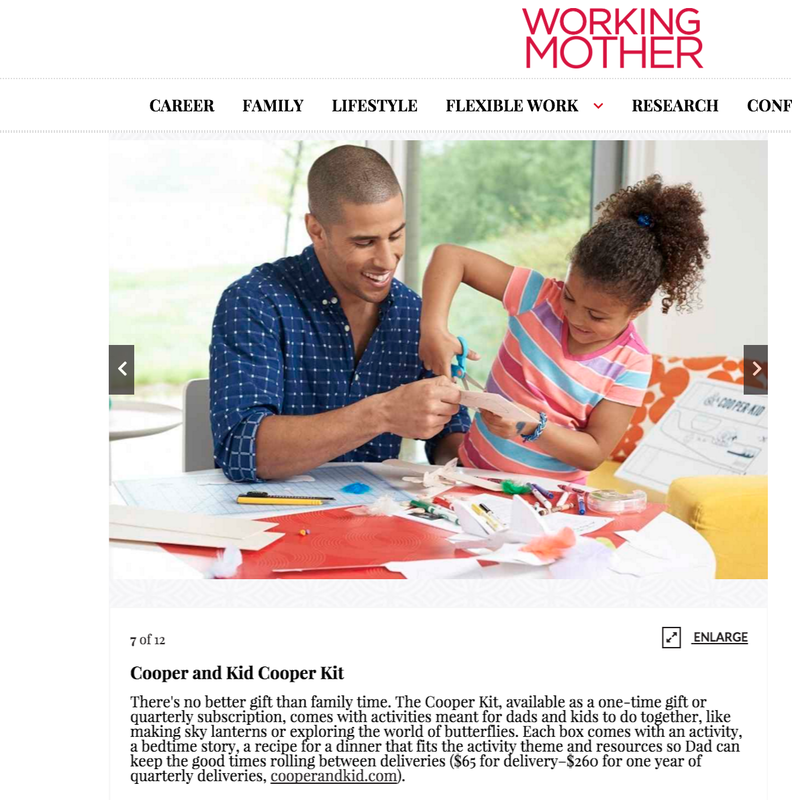 The Cooper Kit, available as a one-time gift or quarterly subscription, comes with activities meant for dads and kids to do together, like making sky lanterns or exploring the world of butterflies. Each box comes with an activity, a bedtime story, a recipe for a dinner that fits the activity theme and resources so Dad can keep the good times rolling between deliveries.